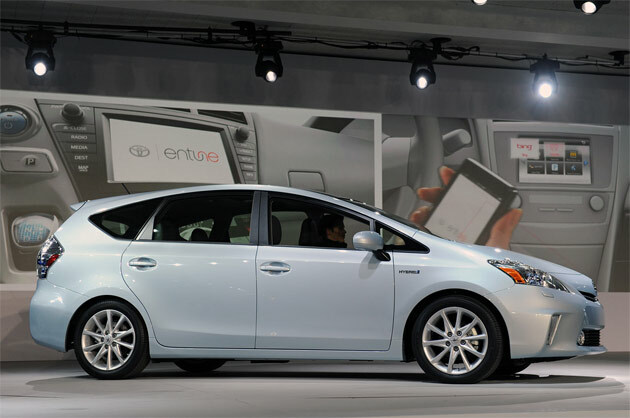 The 2012 Prius V is packing all the hybrid goodness of the standard Prius but with 34.3 cubic feet of space for your stuff, 38 inches of rear leg room and the fuel economy most vehicles can only dream of. The V is five inches longer and an inch wider than the O.G. Prius with the same 1.8-liter four cylinder hybrid power source, so it won’t match little brother’s 50 miles per gallon efficiency. Sill, the roomy MPV will net 42 miles per gallon in the city and an also lofty 38 mpg on the highway, or better than most anything on the road. The efficiency quotient is helped with a .29 drag coefficient and creative engineering feats like a resin panoramic moonroof that helps keep weight in check. Technology will likely be improved as well, typified by Toyota’s Entune infotainment system that combines improved navigation, a rich interface, Bluetooth, and XM Satellite Radio. 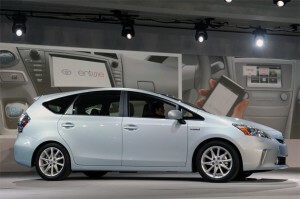 The Prius V hits dealer showrooms this summer but before you put down a deposit.